Kratom Tea Brewed Fresh Daily! At Speakeasy Kava, we’re open 24/7, 365 days a year (unless of course, there’s an emergency like a hurricane – we are located in Florida after all), and we serve kratom tea any time of day, seven days a week! Kratom tea is typically brewed from a powder which derived by finely crushing up leaves of the kratom tree found in Indonesia. The tea will have a slightly bitter taste and in most tea lounges where it’s freshly brewed and sold – it’s served cold. (Speakeasy Kava is one of the few places in Florida that will brew hot kratom tea during the cooler months). Kratom is said to have quite a few different uses, but mainly people drink kratom because it’s a soothing tea that often times is thought to provide a mild euphoria and subtle pain relief to its drinker. 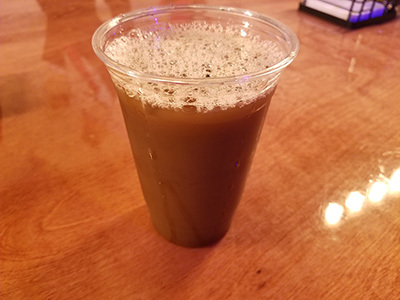 Speakeasy Kava brews it’s kratom tea fresh every single day and serves it in 4 different strains – Yellow, Red, Green, and White. Each varying strain is thought to assist with promoting different feelings in everyone, but since we all vary in our chemical make-up there’s no guarantee of how you will feel when drinking each strain. Many people attribute the red strain by helping them to get to sleep. Other people commonly say that the white strain will give them a nice boost of energy to help them focus and be productive throughout their day – because of this, some customers will stop in to Speakeasy Kava in the early morning hours to get a serving of white kratom tea before they begin their work endeavors each day. Similar to what many people do with coffee. Both the green and yellow strains are said to provide a euphoric feeling that helps to ease anxiety and lets people feel like they can socialize a bit more easily. Since the bitter taste of tea isn’t loved by all, Speakeasy Kava can add a few pumps of flavor to assist with coating the bitterness enabling customers to sip on their tea and enjoy it over the course of at least 30 minutes. If you prefer to go without the sweetener, just adding a pinch of salt can do the trick too! Some of the flavors available at Speakeasy Kava are Elderflower lemon, raspberry, strawberry, caramel, vanilla, lavender, mango, cherry, orange, and black currants. 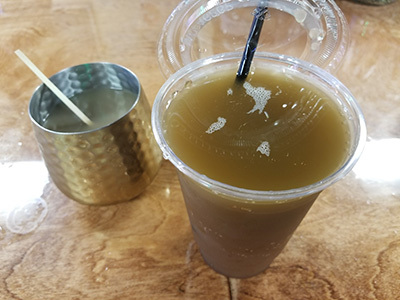 Due to the adverse effects which can arise from drinking kratom tea too quickly (nausea can occur), Speakeasy Kava advises its guests to drink kratom tea slowly over the course of 30 minutes and not to have too much tea in a single day. When drank in a mild amount and not in conjunction with other chemicals which could cause a poor reaction in your body, kratom tea can be quite the delightful treat. Even though there are said to be many benefits with drinking tea, we ask you to enjoy it responsibly and we ask you to understand that you must be at least 18 years of age to purchase. We look forward to serving you at Speakeasy Kava soon! Previous Story7 Fun Things To Do in Tampa Bay!